Join Us! Friday April 27th from 6-9 PM at Blaze Pizza Winter Park. 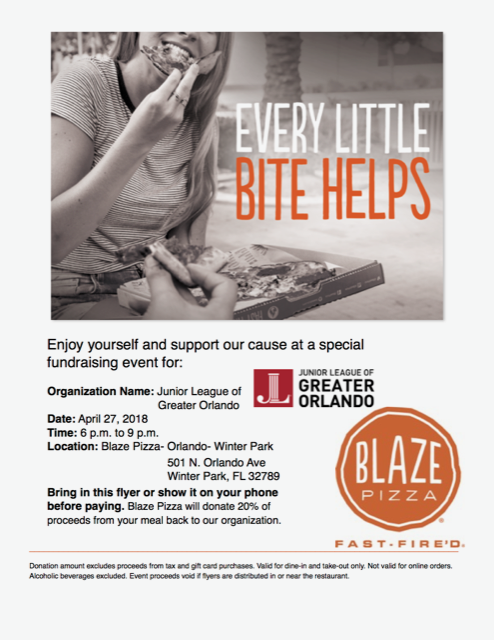 Present the attached flyer and Blaze Pizza will donate 20% of the proceeds back to the JLGO. We look forward to seeing you there!